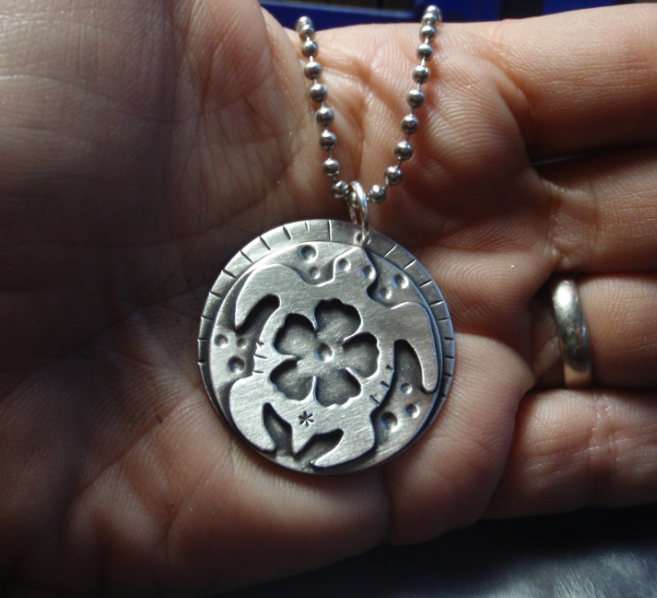 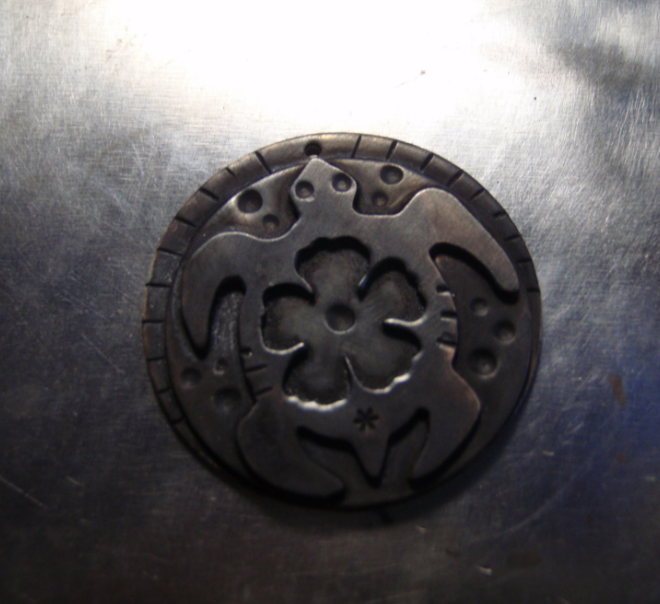 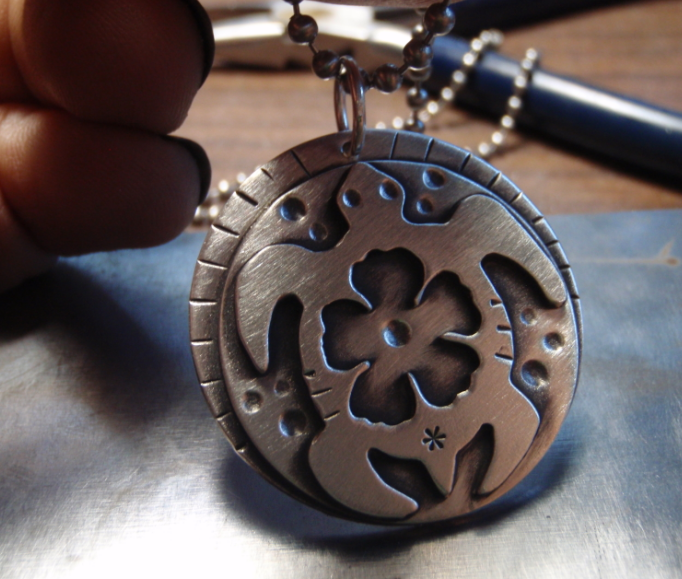 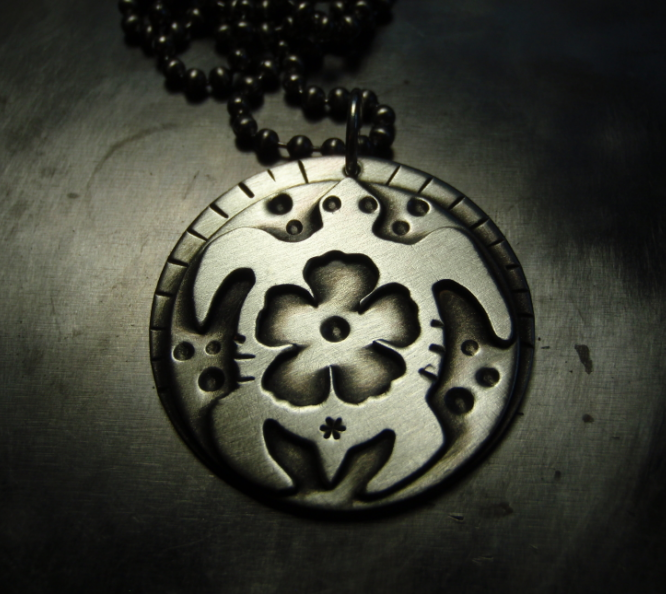 Today I went with a combination of medallion and shadow box ( the shadow box being the flower inside the turtle . 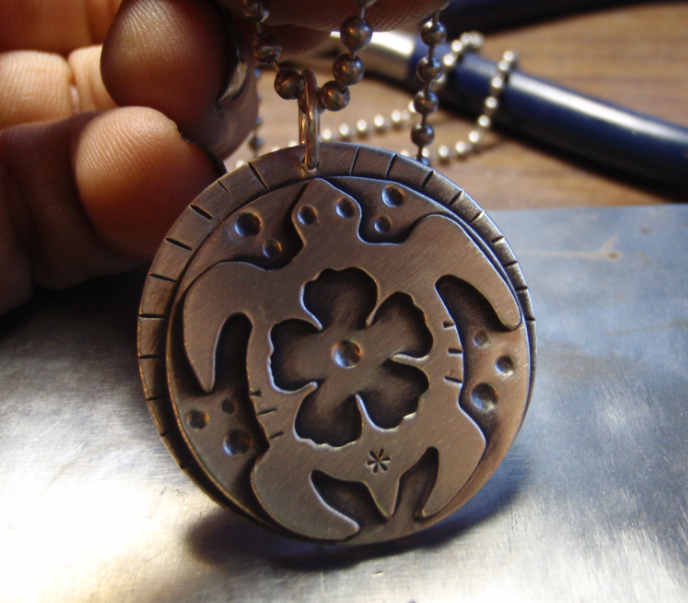 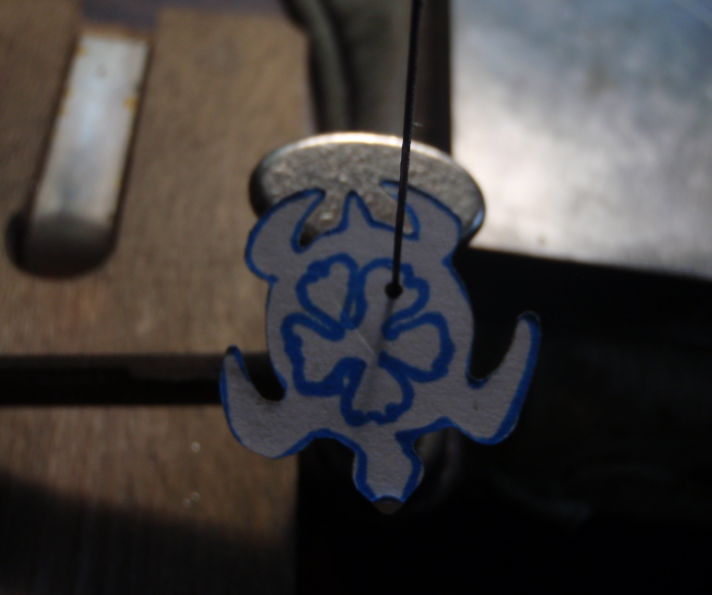 I used 20 gauge sterling silver for that . 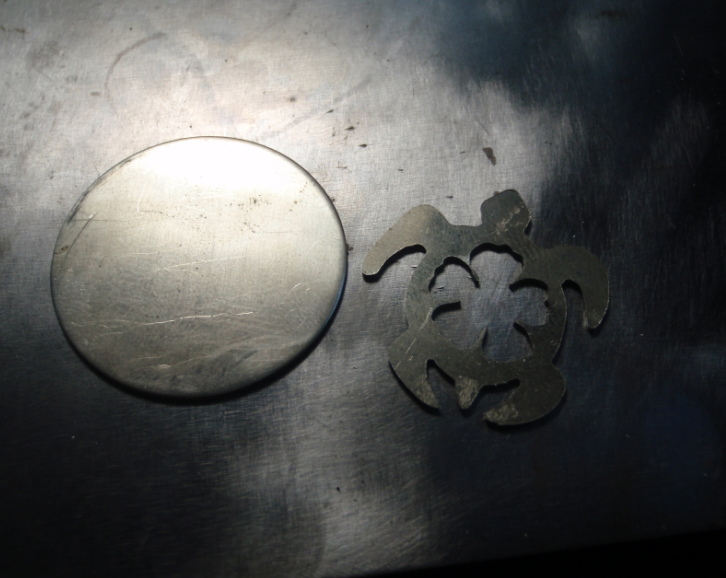 The reason for not using 18 gauge was that I ran out ,lol 🙂 But that worked out in the end as I added an extra circle . 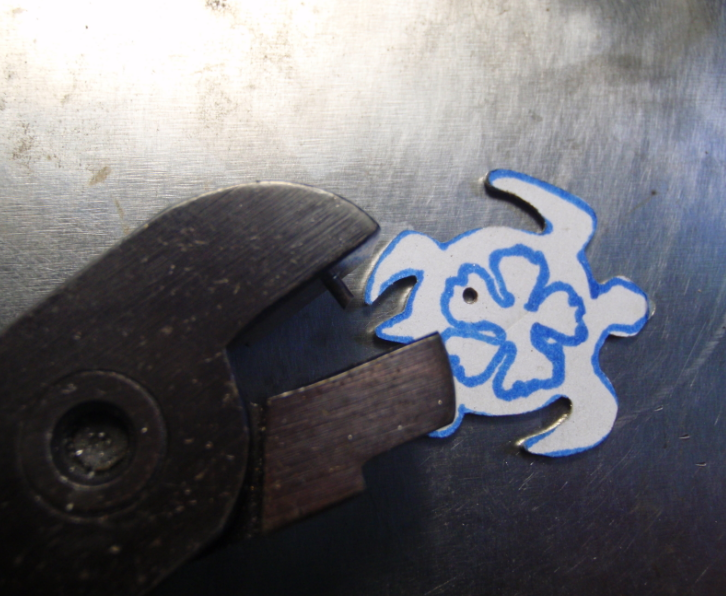 Make sure everything fits well together . 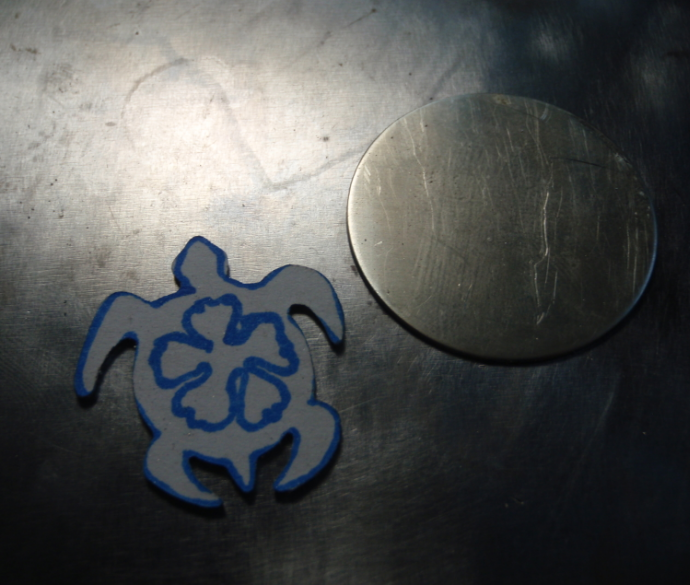 I did not like how the turtle and the circle looked so I decided to add a 1 inch circle in between the turtle and the 1 1/4 inch circle . 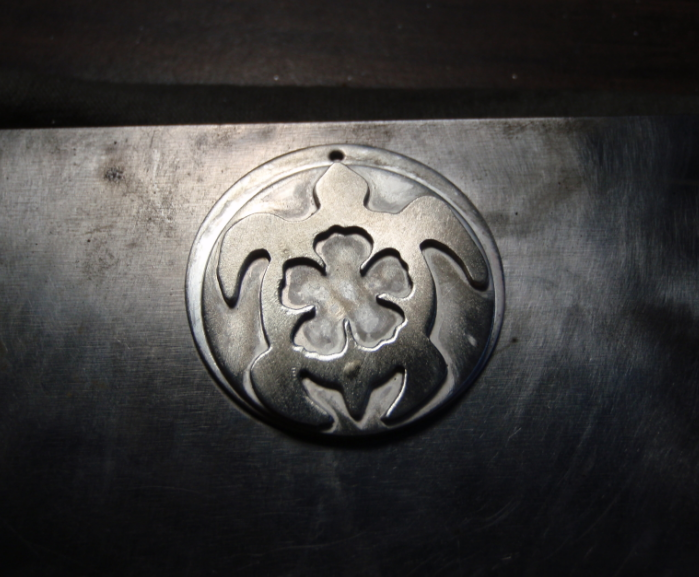 Next step is soldering . 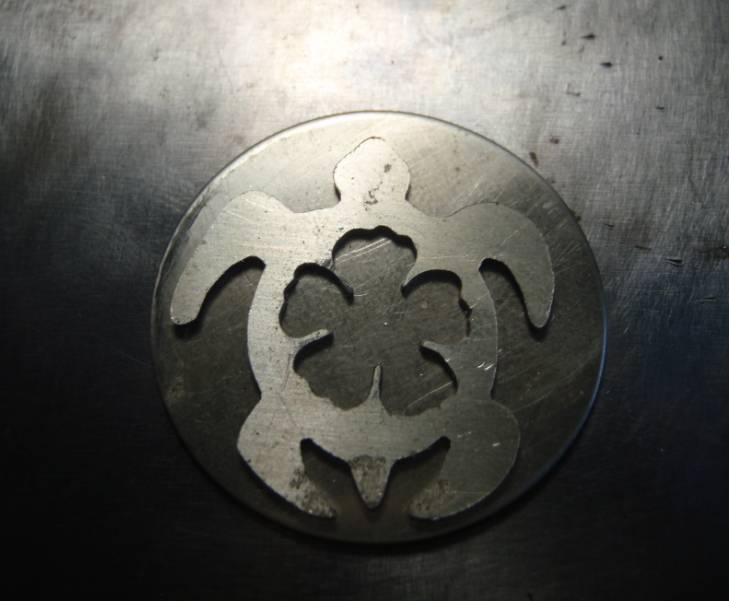 Flux the back of the turtle and the 1 inch circle and add your solder ( sheet , wire or stick solder ) . 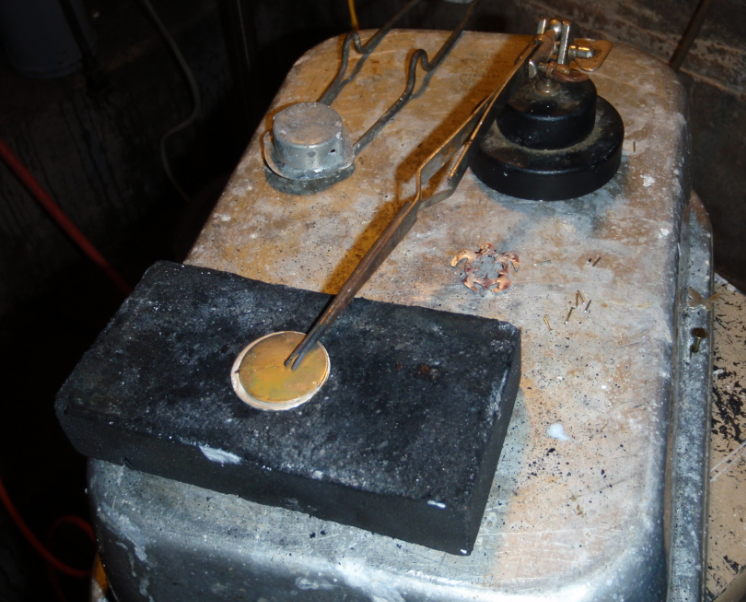 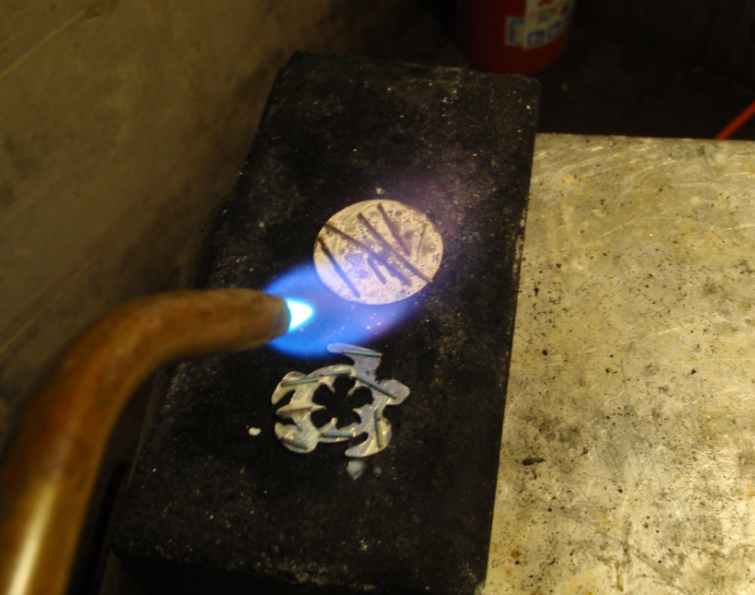 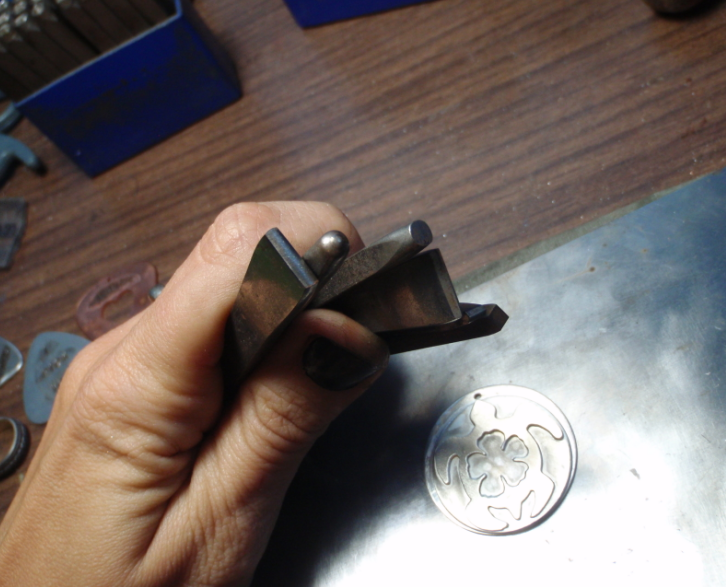 Start heating the metal with your torch using slow circular motions so that the flame does not hit just one spot . 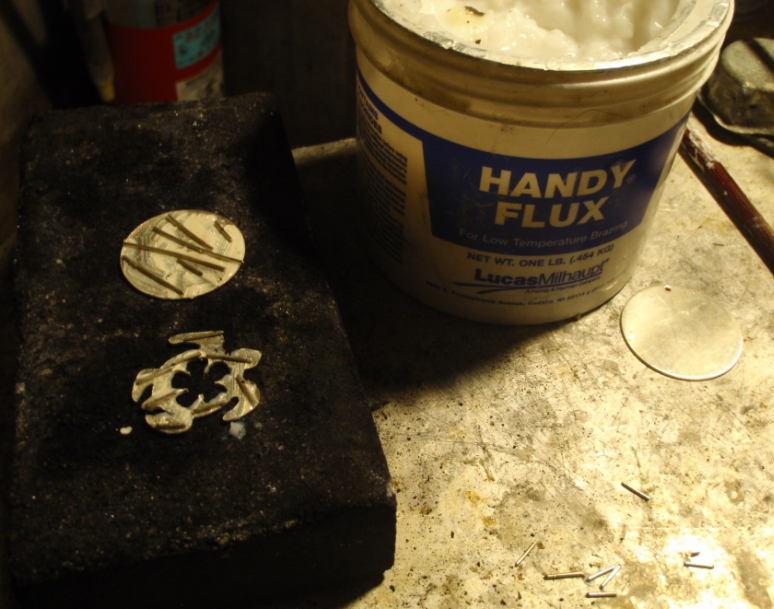 Use a third hand to keep things from slipping while you solder. 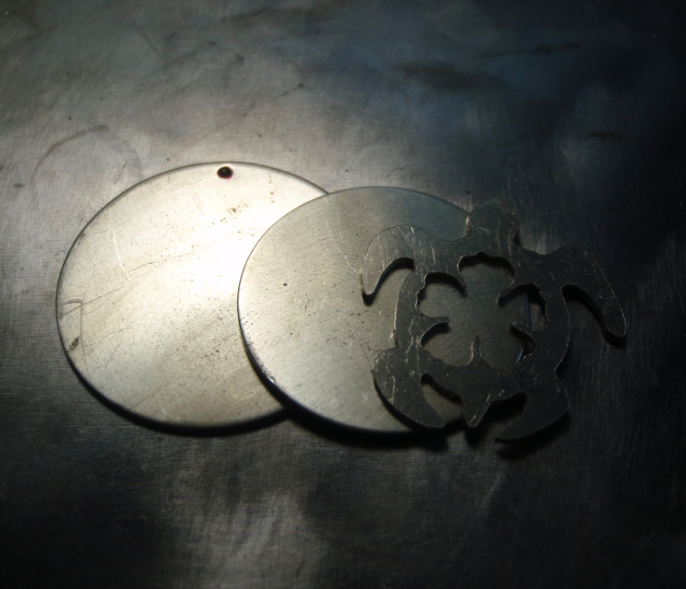 Quench and repeat with adding the turtle to the 1 inch circle I recommend first soldering both circles together and then to add the turtle . 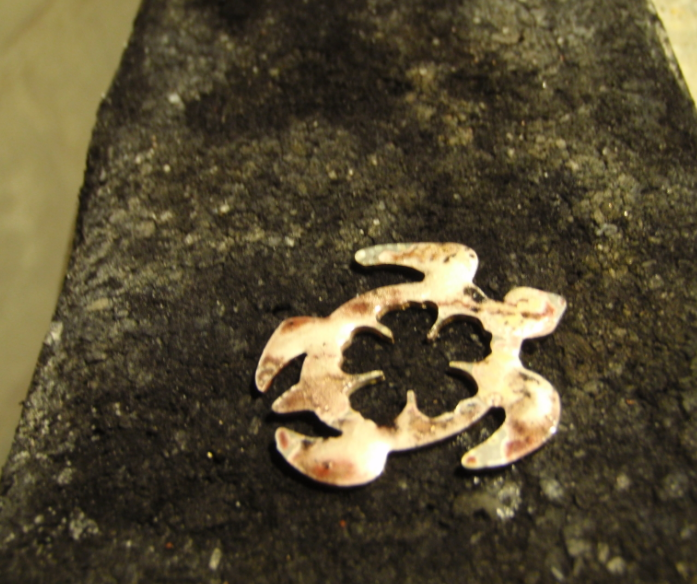 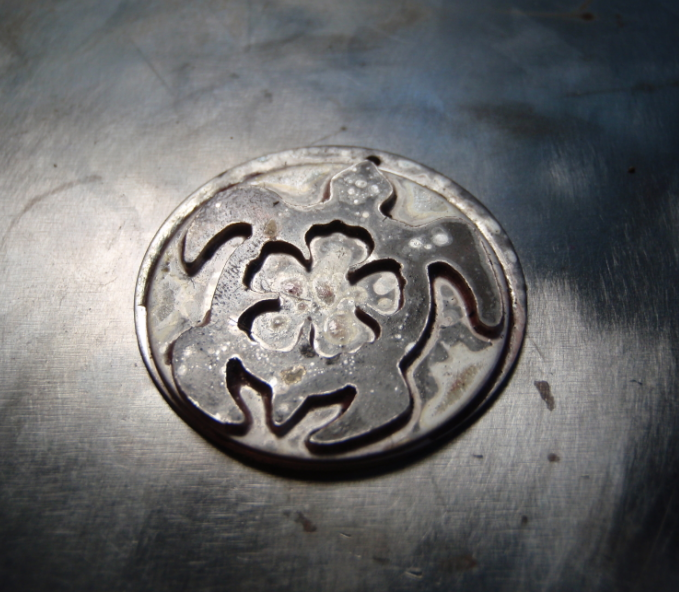 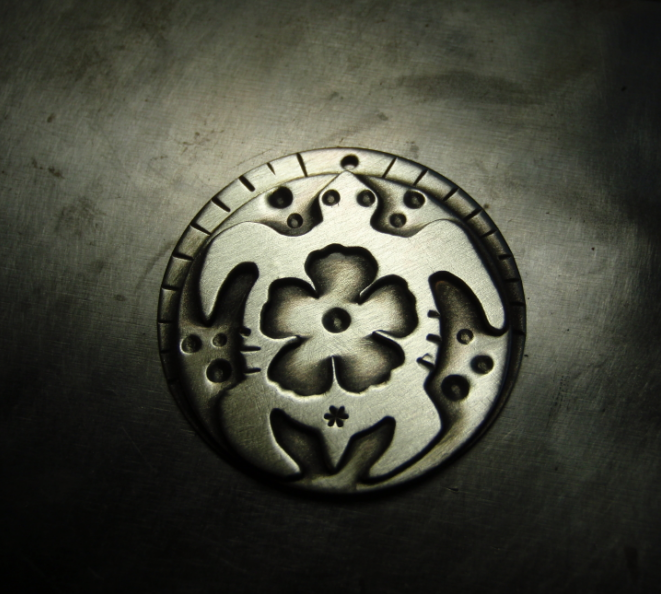 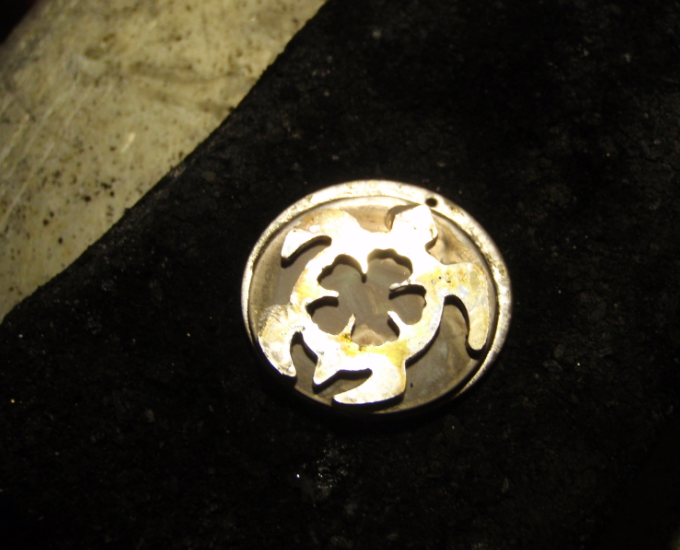 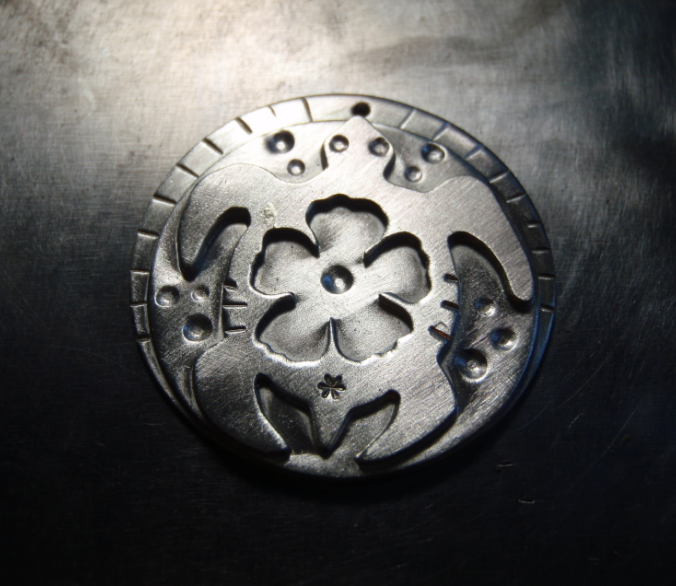 Last picture Is the piece all soldered together after quenching it in water. 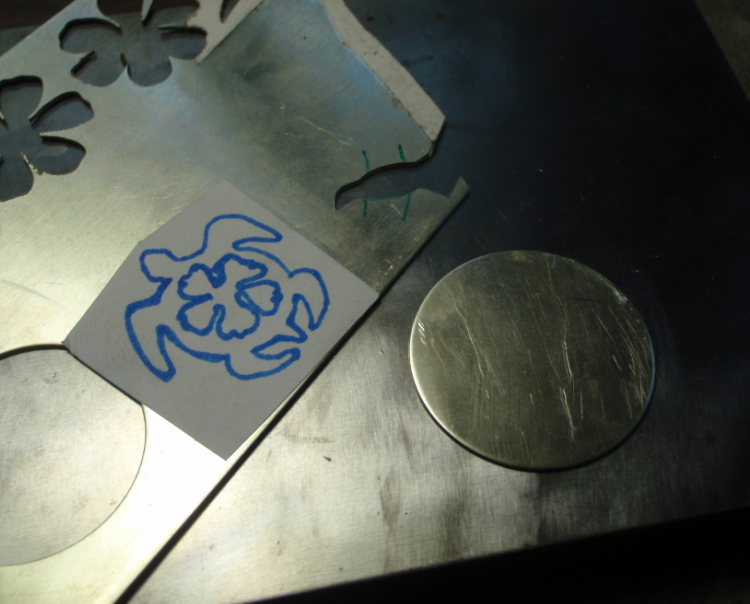 To clean it put it in your pickle solution .